Home › Latest Promotions › UP TO $3000 BONUS PARTS & ACCESSORIES*. UP TO $3000 BONUS PARTS & ACCESSORIES*. Terms and Conditions: *Up to $3,000 Parts and Accessories at recommended retail price is applicable on brand new MY18 Harley-Davidson® Touring models when you pay recommended retail price between the promotional period of November 1, 2018 and December 31, 2018. Up to $2,000 on all MY18 Softail models and $1,000 on MY18 Sportster models. 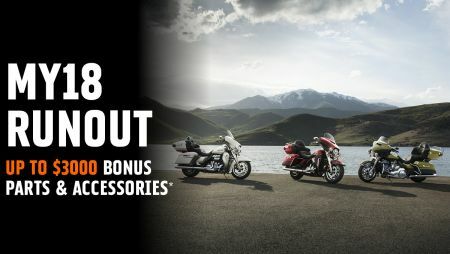 Bonus Parts & Accessories must be chosen at the time of motorcycle purchase. 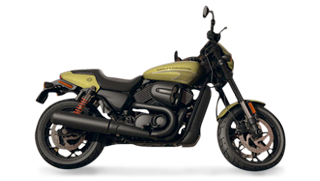 Promotion excludes Street and CVO models. Must be delivered prior to December 31, 2018 to be eligible for promotion. Not available in conjunction with other offers.